Tiny the Tree Frog’s Bermuda Colouring Book is now available in local stores across the island and to order online, with the interactive colouring book featuring questions at the bottom designed to teach a child about numbers, letters, and shapes while having fun colouring. The sixteen pictures are illustrations from Elizabeth Mulderig’s two board books, Goodnight Tiny and Hello Tiny. 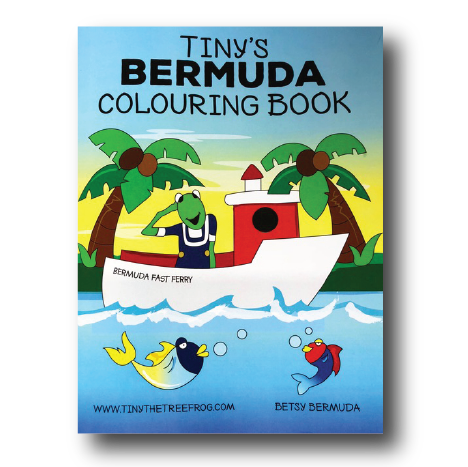 Want to order a copy of Tiny’s Bermuda Colouring Book? Email us here!